The creators and stars of Comedy Central's hit sketch series Key & Peele, Keegan Michael Key and Jordan Peele, are set to produce the long-gestating reboot of Police Academy for New Line Cinema. 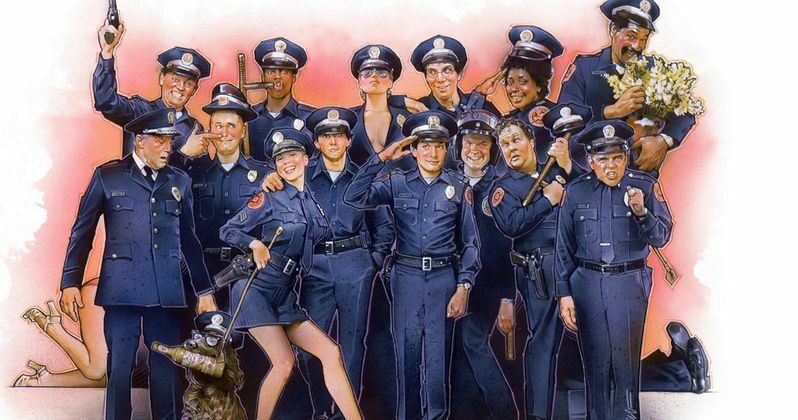 Original Police Academy producer Paul Maslansky is teaming with the duo for a fresh take on this timeless 1984 classic, which revolves around a ragtag team of misfits who join the local Police Academy in order to save their city from crime and corruption. It is not known how this farce on affirmative action will be reworked for the modern era, as no story details have been revealed. The original franchise spanned 7 movies and two full seasons of a TV series, along with an animated series, kicking off in 1984 with Police Academy, which starred Steve Guttenberg as the group's leader Mahoney, and ending in 1994 with Police Academy: Mission to Moscow. The entire series pulled in a combined gross of $242 million worldwide, and has gone onto sell millions of DVDs. New Line has had the Police Academy franchise rights for several years now, but has failed, up until now, to get a movie off the ground. In 2012, first time director Scott Zabielski, best known for his time spent helming episodes of Tosh.0, was set to take on this project, but he is no longer attached. Way back in 2010, when the reboot was first being discussed, Paul Maslansky insisted that he was going after a group of up-and-coming comedians for the lead roles. He also claimed that none of the original cast would be back. ""It's going to be very worthwhile to the people who remember it and to those who saw it on TV. It's going to be a new class. We hope to discover new talent and season it with great comedians. It'll be anything but another movie with a numeral next to it. And we'll most probably retain the wonderful musical theme." It isn't known if Keegan Michael Key and Jordan Peele plan on appearing in the movie at this time. This take on the reboot is said to be inline with the TV-to-Movie adaptation of 21 Jump Street.